Courtesy Downtown Oklahoma City Inc.
You know the holidays are upon us when people flocking to outdoor ice rinks is a common sight. The Devon Ice Rink opens Friday, Nov. 14, at the Myriad Botanical Gardens in downtown Oklahoma City. The ice rink is the first attraction of the Downtown in December festivities to open each year, sending a wave of energy and greetings that the holidays are approaching. Fridays are Rock ‘n’ Skate nights featuring a DJ from 6-9 p.m. There will also be outdoor concessions available. 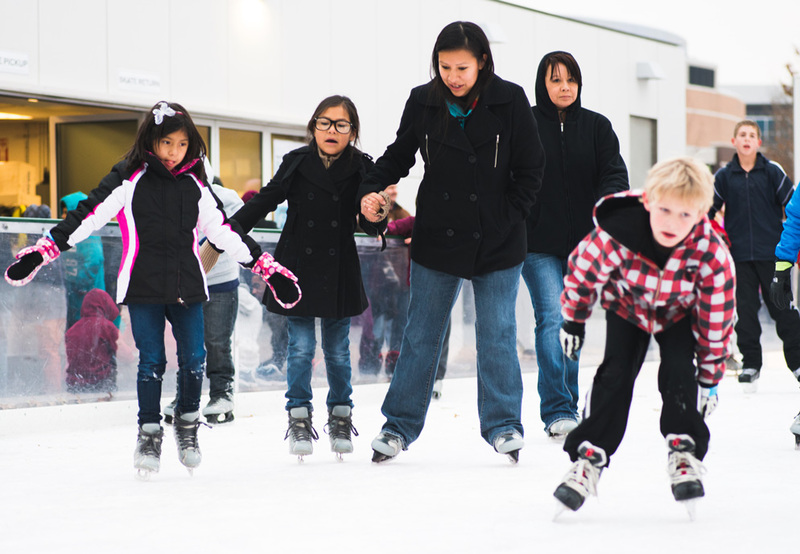 The Devon Ice Rink will remain open through Feb. 1, and the botanical gardens are located at 301 W. Reno Ave. Visit www.oklahomacitybotanicalgardens.com for admission and skate rental fee information.